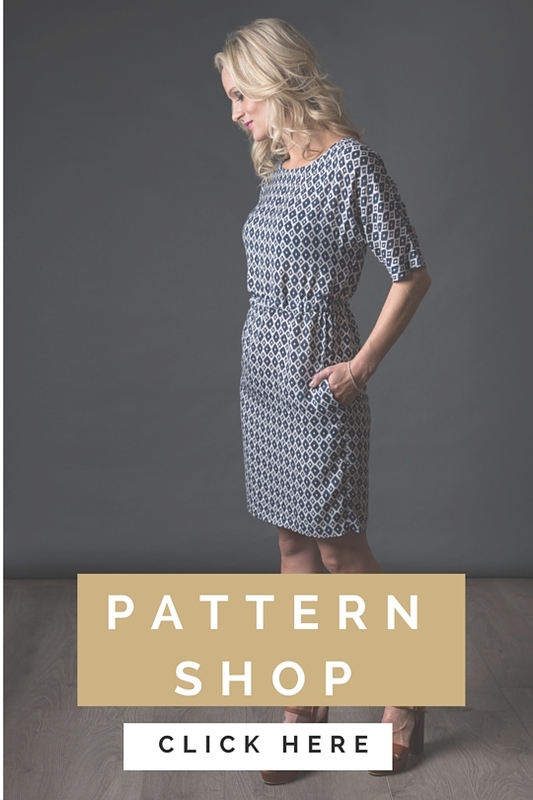 The Sheath Dress is a gorgeous dress that you will want to make again and again! It works in so many fabrics making it really versatile! Perfect project for beginners as it is so easy to put together. The whole front of the dress including the sleeves are one piece, cut on the fold! The back is two pieces with an invisible zip. We have a great tutorial for the invisible zip! We spent many years fiddling with regular zips and then once we taught ourselves the invisible zip, we have never looked back! elasticated waist for a more casual dress. View A has stylish inner pockets & View B has outer pockets for a more relaxed look. make a toile of this dress to check the fit of the dress. Let’s make this dress together! We’ve broken up the steps so that you can click on the menu tabs for the section you are making. 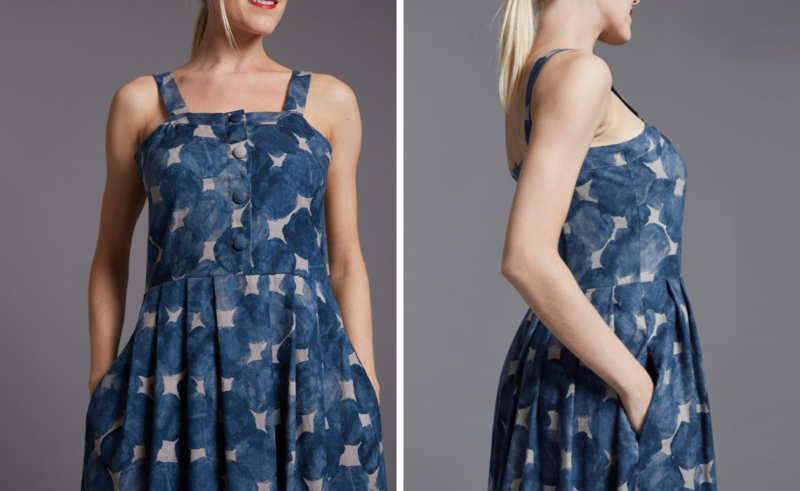 Haven’t bought it yet and want to get your hands on this pattern? 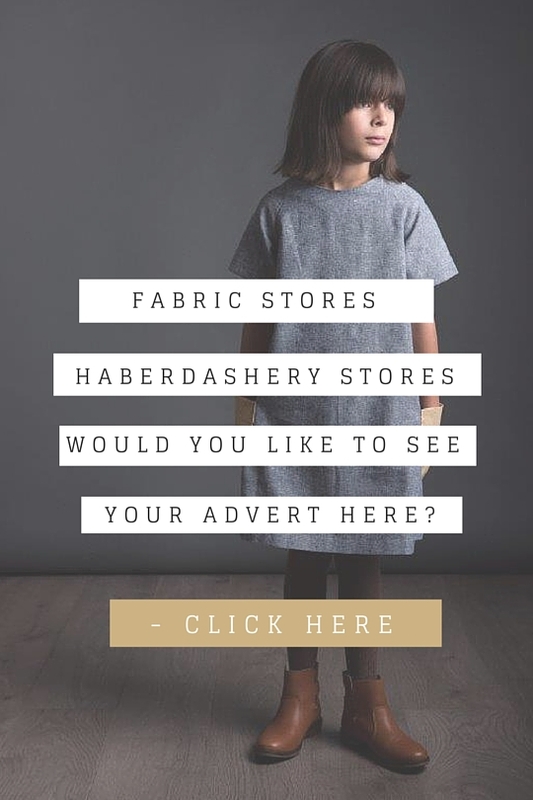 Click here to pop to our shop! Send us some pics of your gorgeous dress and let us know if we can add any more detail to the instructions. So what’s first in the stage of making this gorgeous dress? We’ve created a checklist so that you can be sure you have all you need and have covered everything before starting your project. 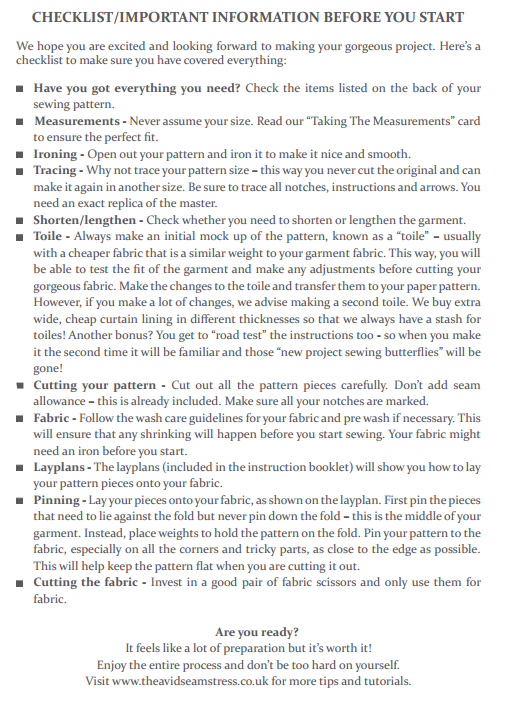 This gorgeous guide is printed on beautiful card which is included in your pattern. Before you start- Overlock / zigzag the raw edges. 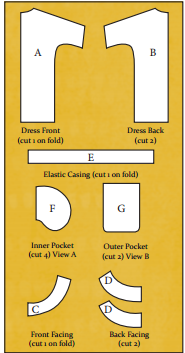 Overlocking is not required for the neckline of A and B or the neckline edge of the facing. on the two pieces of B and the front neckline of A. “Stay stitching” is a row of stitches that prevent the piece from becoming stretched. 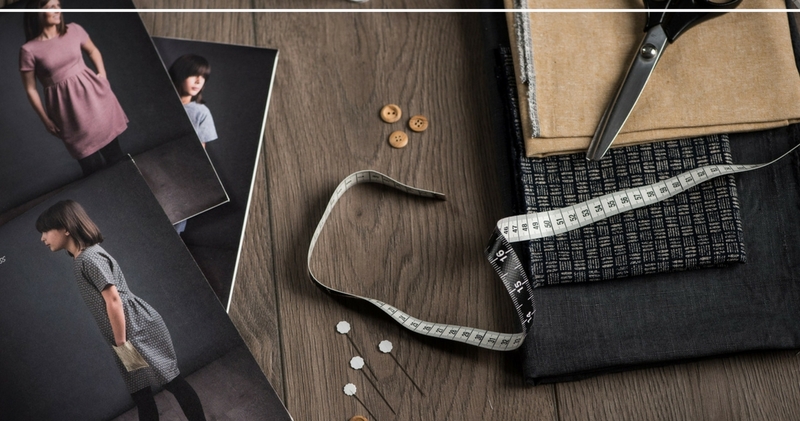 The stitches are created within the seam allowance so that you don’t see these stitches once the garment is sewn. The guideline is 5mm from the edge of the fabric.